We are perfectly placed to take you to a variety of destinations in our beautiful islands. 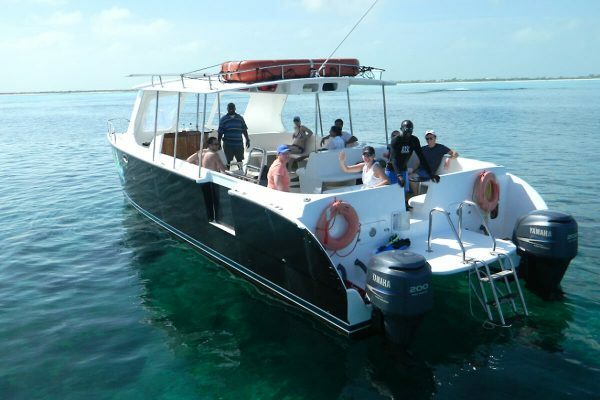 Both boats are available for Private charters, Sunset sails and Customised cruise ship trips. Kuralu Too is a 36′ Power Cat with twin 250hp outboards. We are able to take you to many of the islands around the BVI, including Norman, Peter, Cooper, Virgin Gorda and Jost Van Dyke. We normally leave from Road Town but can also pick up at any of the nearby islands. Located in Road Town and only a 5 min walk from the Cruise ship pier, Day Dream has a variety of day-sail options and can take you to Salt, Cooper and Peter Islands or to Norman Island to snorkel the Caves and the Indians. Day Dream can also do trips to the Baths at Virgin Gorda and can do pick ups from other islands. A fresh lunch is prepared onboard daily. Day Dream is a 43’ Leopard sailing catamaran built by Robertson and Caine in 2008 in South Africa. She is a beautiful boat, very comfortable, with lots of space for relaxing, both in the sun or the shade. Easy access to the water, fresh water shower and washroom onboard. Gary Cottreau was born in Nova Scotia, Canada and sailed to the British Virgin Islands from Nova Scotia in 1993. 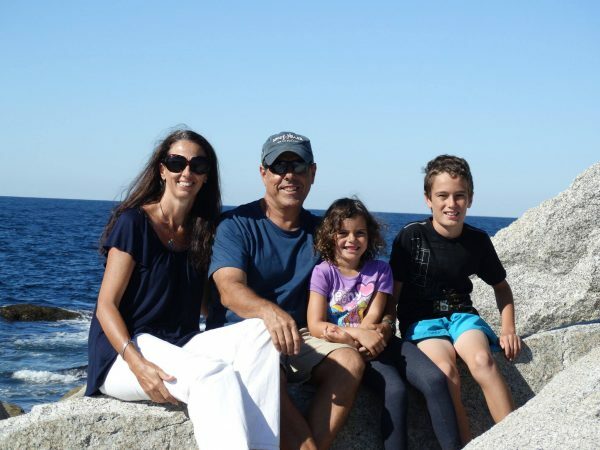 Gary worked for a few years as a charter Captain in Tortola then operated a private yacht based in Tortola and travelling throughout the Caribbean and Bahamas. His wife Clare sailed to Tortola in 2000 from the UK. Clare has a Masters degree in Biological Oceanography and worked on UK research ships and travelled extensively to places like the Antarctic. Gary and Clare met in Tortola and were married on Lambert Beach in 2004. They now have 2 children born in the Virgin Islands. Both kids love the boats and occasionally enjoy helping out, entertaining guests. They bought Kuralu Catamaran Charters in 2008 and have owned and operated her since then. Day Dream joined the fleet in November 2015 and expands the choice of destinations running out of Road town. Kate Remo Mathew is a native of Wales where she began running powerboat tours all over the surrounding seas. At 20 years old she left home for more exotic islands. While sailing the South Pacific, Greece, Croatia and Australia she learned an appreciation for guests from all backgrounds. 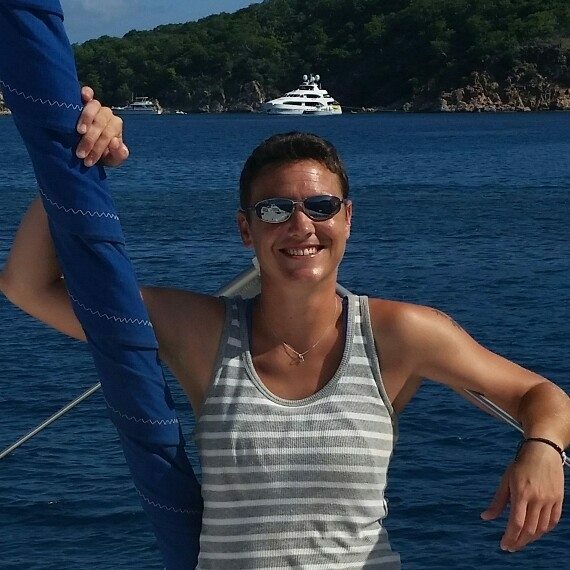 Kate arrived in the BVI in 2005 and has a well-earned reputation as your perfect snorkel guide and first mate. She is knowledgeable, professional, and is an unmatched underwater enthusiast who is able to show you the snorkelling sites where you may see turtles and rays. First mate Kate welcomes you aboard Kuralu for a day filled with special moments to last a lifetime. Hailing from Devon, England, Dionne grew up on a sailboat “Destiny” which is an appropriate name given her adventures abroad. She bought her own boat at 18 and earned her captains license at 20 years old. Dionne then spent 10 years sharing the adrenaline rush of the Bristol Channel with tourists on coastal and island tours which land lubbers found thrilling. Whether on a ribcraft with twin 300HP Suzuki engines or a 60ft Pearl power yacht, guests aboard with Captain Dee were never at a a loss for excitement and luxury sailing. 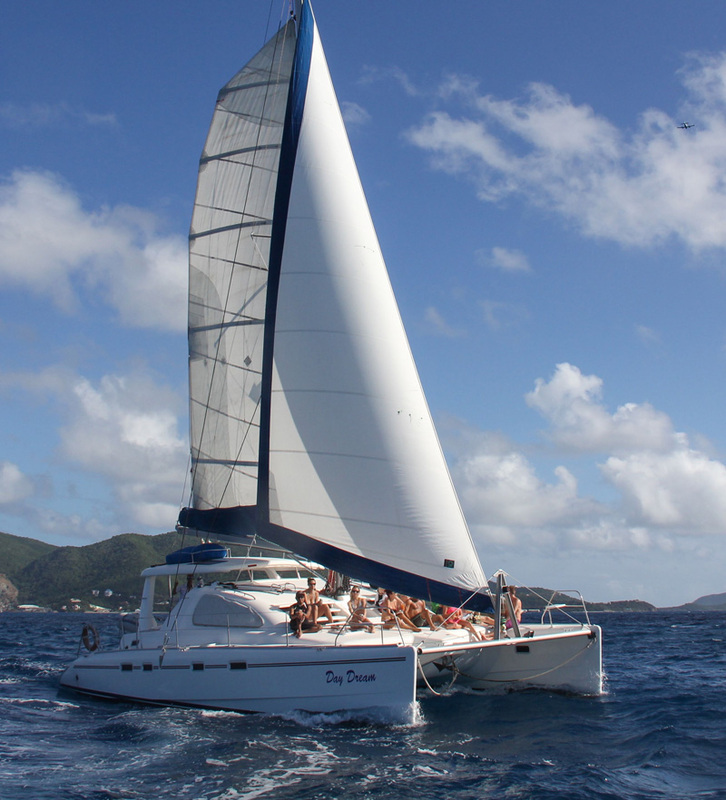 Now in the BVI, Dee is here on Day Dream to make your day sail dreams come true. 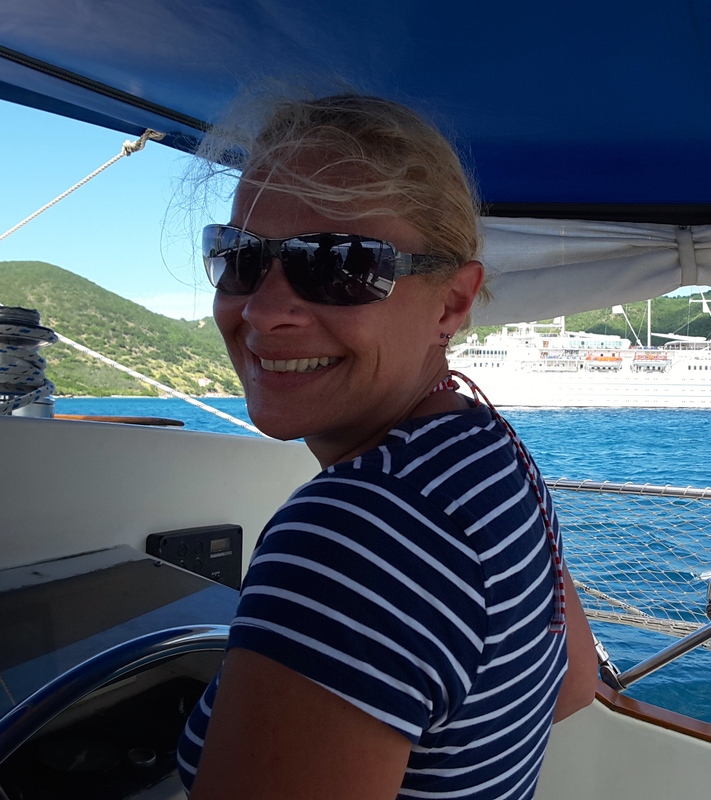 Come aboard, relax and have a laugh … Dee cannot wait to show you the crystal blue waters of the beautiful British Virgin Islands aboard Day Dream.